SPECIAL SHOW FOR A SPECIAL EVENT - Along with our other special Halloween shows, the Caste is going to be part of a special event. 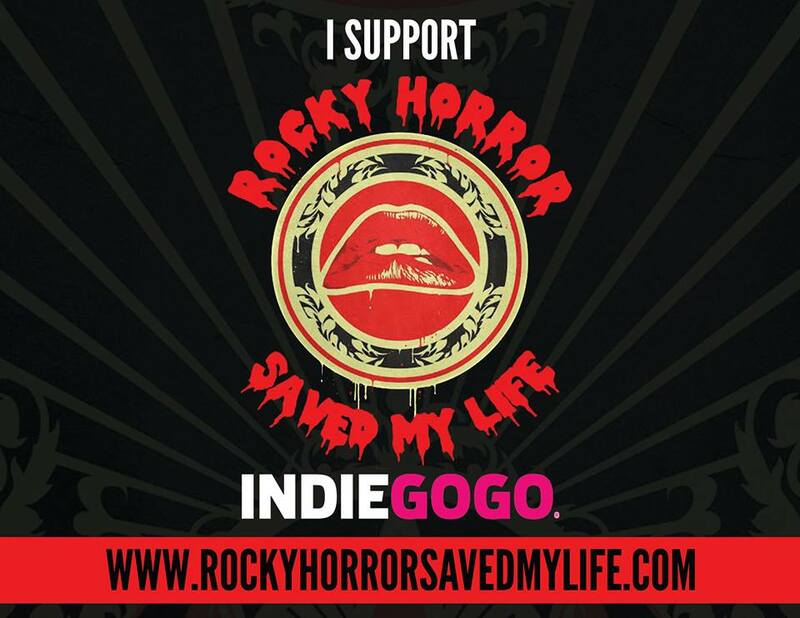 Our show will be included in the documentary, ROCKY HORROR SAVED MY LIFE. This will be a special movie that tells the story of the fan community that lives around the movie and brings it all to life week in and out. They will be at our theater for a special show on October 17th to film our show and the audience that are there. We want to be sure that there is a full house for this night to make it an amazing moment for all of us. For more information on the documentary, check out their site for all you need to see. While this will also be posted at the door to the theater, this is something that you need to remember for that night. THIS AREA IS BEING FILMED AS PART OF A MOTION PICTURE. YOU MAY POSSIBLY APPEAR IN THE FOOTAGE OF THIS MOTION PICTURE. YOUR ENTERING INTO THIS AREA CONSTITUTES YOUR WILLINGNESS AND PERMISSION TO BE PHOTOGRAPHED FOR, AND POSSIBLY APPEAR IN THE MOTION PICTURE: "ROCKY HORROR SAVED MY LIFE." NO COMPENSATION WILL BE PAID. In other news, we have a question for all of you - Do you want to join the Caste? Think you've got what it takes to be a member? Well, we're always looking for able bodied men and women to help us put on the best show possible. Right now, we're currently looking for these Technical Crew Members - Props, Lights, and Security. If you are interested, send us an email for more information or ask a cast member at the show. We'd love to add to our happy little band, so don't be afraid to jump on board. © 1995-2014, Bawdy Caste Productions. All rights reserved.